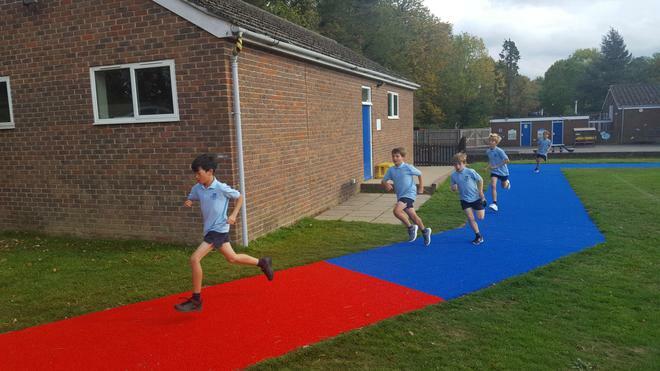 The start of this term saw the introduction of our brand new track. 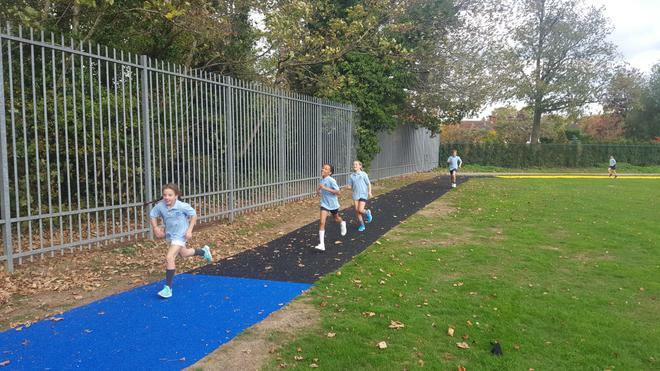 The aim of the track is to give all children an opportunity to be more active throughout the school week, whether it be through walking, skipping, jogging, hopping etc. During the week, each class aims to go out for a number of 'eight minute sessions' to get some extra steps under their belt. Currently, the year 5 and 6's also have the privilege of using the track during lunch time. If the children do 5 laps of the track they have reached a mile, which many children have made their target to try and reach.